Yasser 14, Red Rocks, Mt Cole. Slaba Dabba Doo. Big granite slabs, 3 abseils required to access! 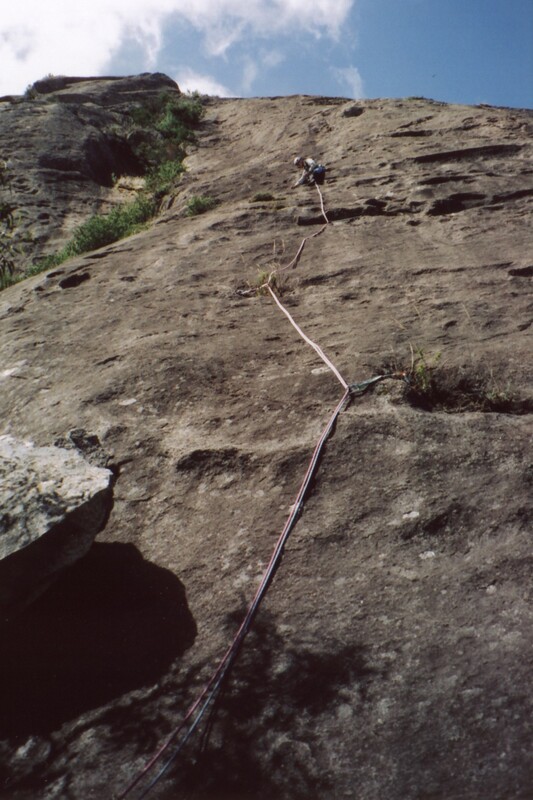 Adventure climbing on long multi-pitch slab routes, sparsely protected with a mix of trad and bolts, both carrots and fixed hangers (no sport routes). There are acres of solid granite and great views across to the Grampians, an easy approach (then three abseils) and some long run-outs. Good routes in the mid to upper teens. The trip is suitable for Advanced and Intermediate climbers only. Contact Ben Wright, the Trip Leader and VCC President, if you are interested in coming along on this trip. 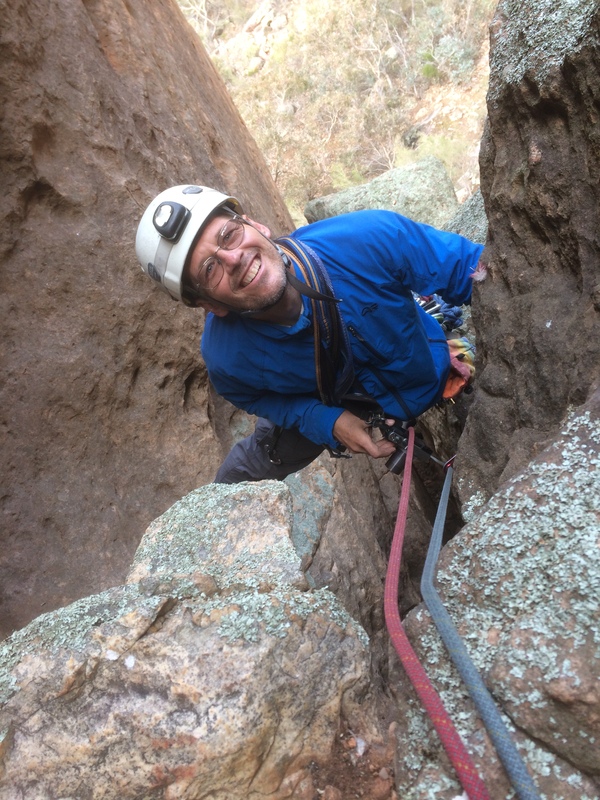 Trip Leader Ben on Knee Deep, Moonarie, SA. Will be camping at Chinamans Campgrounds, Chinaman Road, Mt Cole.